This week we had an amazing workshop at school with Matt Jones and Jack Schulze from BERG, a design partnership in London. What made this workshop so amazing was that, for the first time in months, I felt like we were given license to actually go crazy and have fun. (Do not underestimate the import of these words for someone who is supposed to be in design school.) And, even though I missed one day due to an impromptu blitzkrieg waged on my health by a stomach virus, I still took away an incredible infusion of new ideas. It was, in many ways, like a much-needed Spring Break for my brain. Haribooooo! 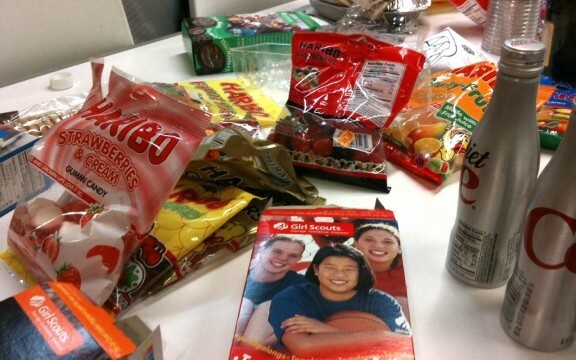 Nuclear fuel for designers. The workshop began with a lecture about “hopeful monsters,” those forgotten-about technologies simmering at the bottom of the “trough of disillusionment.” In a quick exercise, we were asked to mix and match cheap, ubiquitous technologies like CRT monitors and flash drives and brainstorm ideas from unlikely pairings. Sticky notes of some hopeful monsters from the first day of BERG's Hopeful Monsters workshop. This introduced me to a downright revolutionary idea, which is that we interaction designers probably spend too much time focusing on the next 5 years. Rather than constantly opining for the sublime, “airport futures” alluringly posited in IDEO videos, we should just get our hands dirty and investigate the technologies we have right now, and then build something crazy with them. This kind of thinking hasn’t really emphasized of late in my program. Much of our time is spent prototyping shiny maybe-someday’s. I hadn’t realized how much I missed the idea of actually building something, no matter how imperfect, how monstrously hopeful. Tuesday, which will forever go down in history as the day I regretfully missed, was sketching mayhem! Judging from various recaps, it was a day where everyone got out their pens, chalk and whiteboard markers and “bred” objects with one another, and with certain characteristics like “organic” or “mechanical.” A milk carton evolving into a duck, or a disco ball crossed with a faucet were some of the resulting madness. There was also a gun redesigned along four axes of opposing characteristics. (My favorite drawing out of this batch was an octo-gun done by one of my classmates, Sera). It sounded amazing, and reminded me somewhat of the games of sketchpad war my friend Jess and I would wage upon each other during lunch break at SMFA. Sketches from Tuesday. Not sure what's going on here, but it looks awesome. Wednesday was the beginning of working on our brief for the week, “Death to Fiction: Material Explorations.” We had to each choose from a list of intriguing materials or technologies and then research the heck out of them, find out what makes them tick, what their strengths and limitations are, and then brainstorm something they could be used for. As far as briefs go this was pretty open-ended, so I chose corn plastic. I discovered that corn plastic (a.k.a. bioplastic) is a lot like regular plastic (versatile, durable), except for its most intriguing property which is that it has the capability to disappear completely via biodegradation, given the right conditions. So I proposed an entire hope chest of corn plastic items, ranging from linens to tableware to photo frames, which can be utterly disposed of if the relationship doesn’t work out as you’d hoped. Material baggage, begone! Thursday, we designed thermostats. 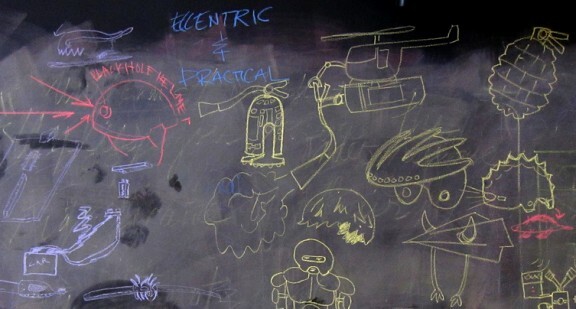 In an all-day rapidfire exercise, we brainstormed, discussed, then sketch-prototyped a thermostat of our own invention. We had everything from SkymilesStarbucksCardStat (a system that reroutes your rewards from other systems if you over-heat your house) to PredatorStat (tracks you and knows your temperature…) and sketches for them all. 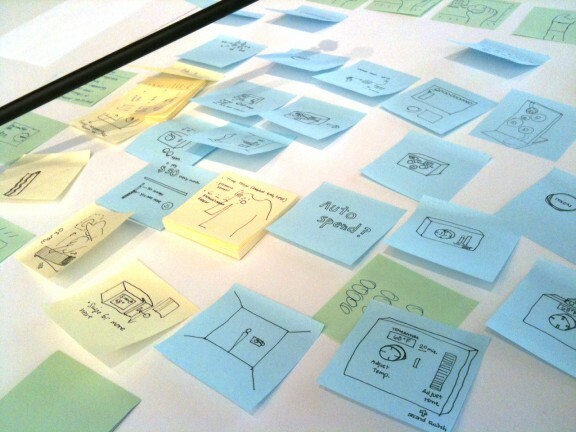 One valuable takeaway from this: instead of listening, ask your partner to draw their idea. This works wonders on sketcher’s block and also communication. By the end of the day, and many many iterations later, my group prototyped the HappyStat, which is a way of receiving instant feedback about your energy use as compared to your neighbors. Check out the video sketch. 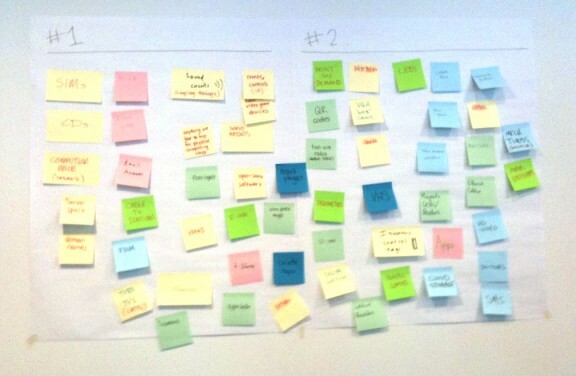 Friday, the last day, we spent presenting our Material Explorations and thermostat projects. For Materials, I learned about lidar, augmented reality, and glue factories, which will make you any kind of glue you want if you call them. For thermostats, I really enjoyed one of the ideas that was presented, HearthStat. It is a coffee-table like device that you can gather around and throw “logs” (HearthSticks) into to raise the temperature. Awesome, I want one of those someday. And now, the workshop’s over and it’s Spring Break for real. It’s the perfect timing, because I’ll get a rare chance to reflect after a truly inspiring week. I’m wildly thankful for BERG and their enthusiasm, courageous sheer love of creativity, and irreverence (not to mention their fantastic dry British wit). These are things I want to nurture and sustain through grad school and beyond, and thanks to them I’ve renewed my determination. Hooray! Hariboooo! 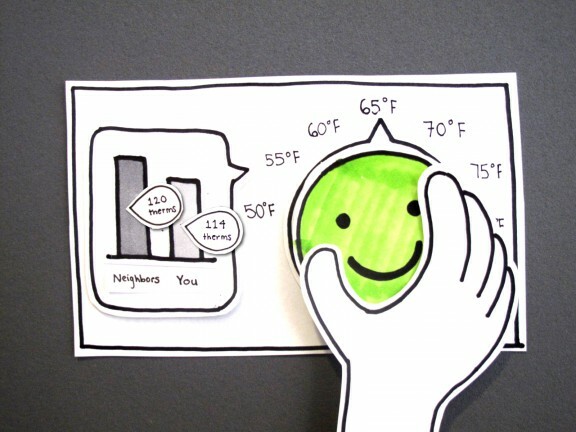 Pingback: [tinabeans] beansprouts » HappyStat: a thermostat that smiles!